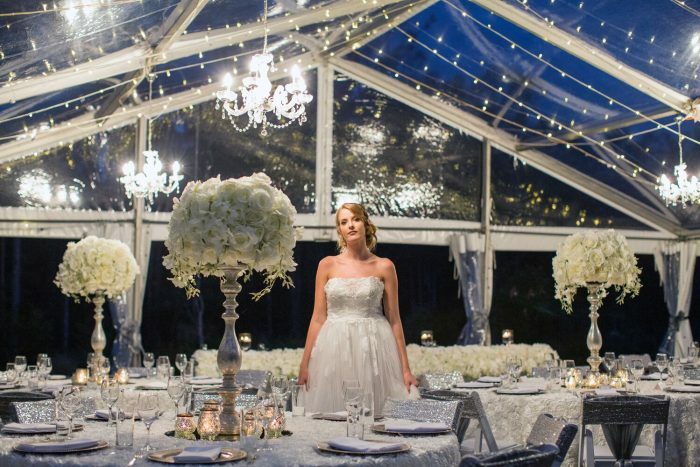 The rising trend of marquee weddings combines the atmosphere of an outdoor wedding with the luxury and styling of an indoor reception. Watch the stars shining from the comfort of your dinner table as the natural beauty of Walkabout Creek transforms your wedding day. 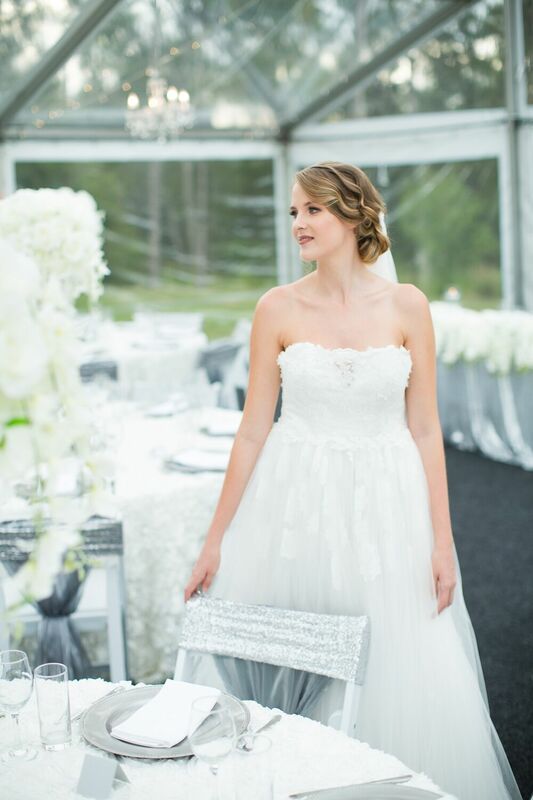 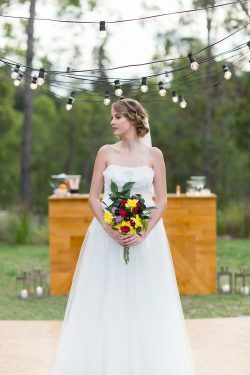 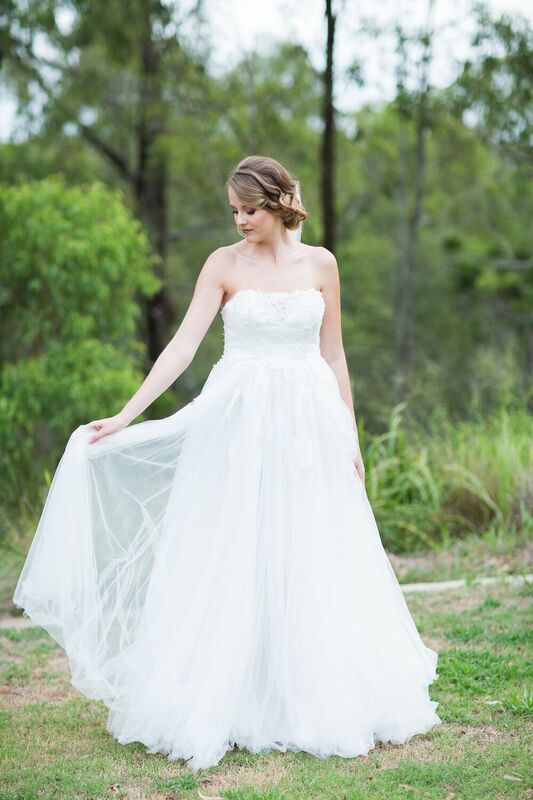 We joined forces with a range of Brisbane’s wedding experts to assemble a styled marquee wedding photoshoot at Walkabout Creek. 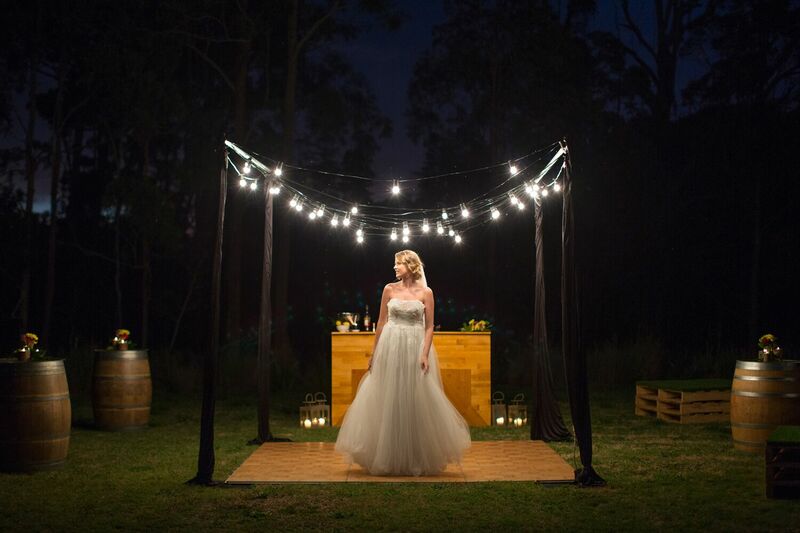 The charm of Walkabout Creek is within its natural setting, bringing guests together for enchanting events in the rainforest of D’Aguilar National Park. For this reason, the magical atmosphere of our Lakeside Lawn can be difficult to leave. 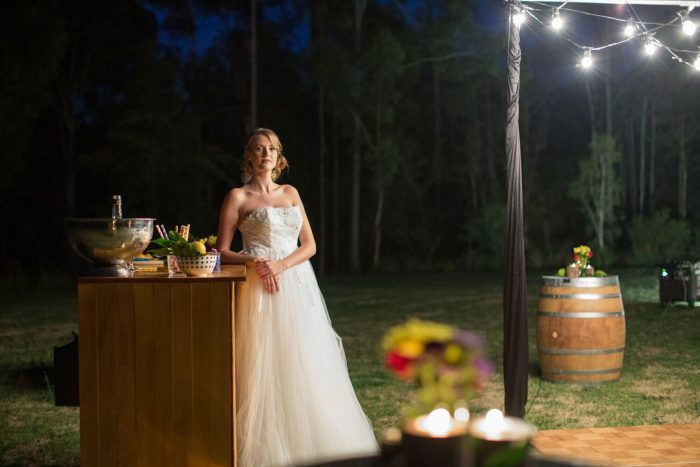 Rather than retreating to a reception venue after your wedding ceremony, Walkabout Creek offers the chance to set a marquee on the lawn for the entirety of your wedding day. 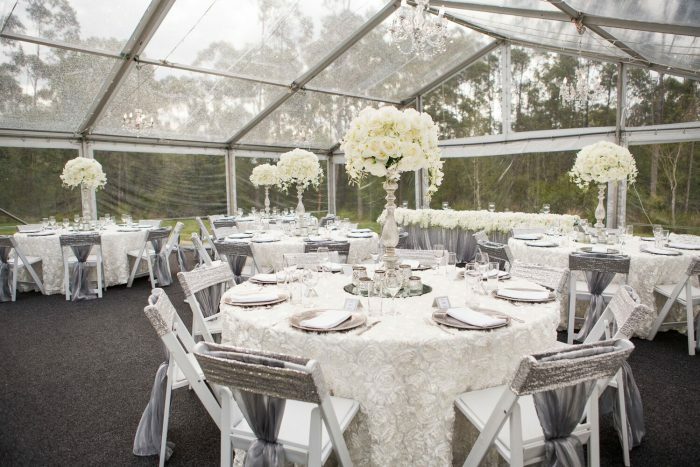 The rising trend of marquee weddings combines the atmosphere of an outdoor wedding with the luxury and styling of an indoor reception. 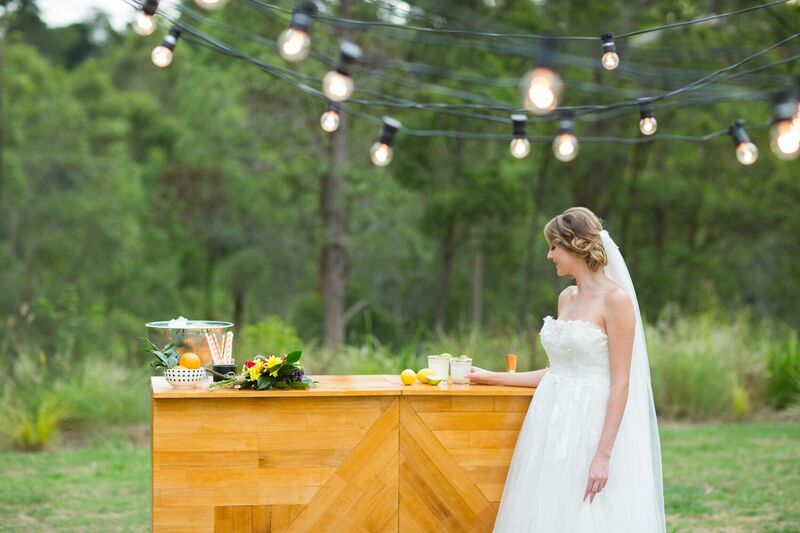 Watch the stars shining from the comfort of your dinner table as the natural beauty of Walkabout Creek transforms your wedding day. 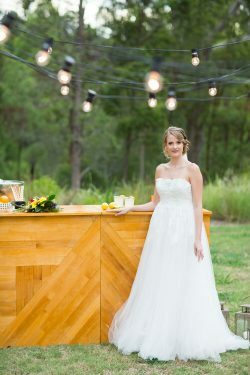 To suit the natural setting, Bella Brides designed a look fixed around the bride’s natural glow. 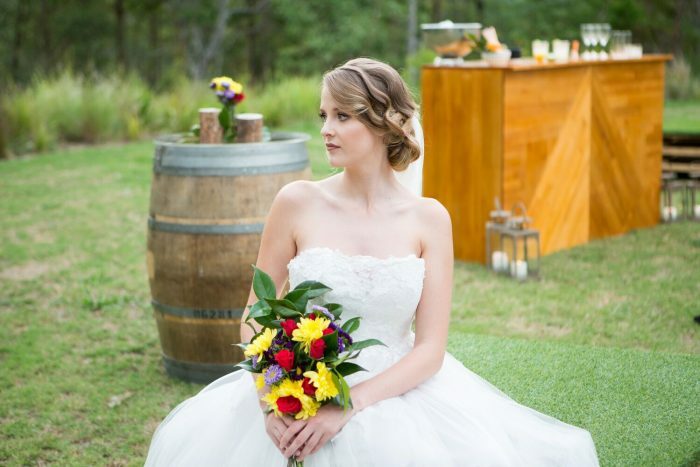 Soft, blended eye shadow, deeper lips, and a casual, curled up-do formed an easygoing yet elegant bridal style. 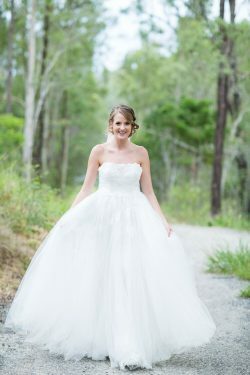 Our glowing bride wore a strapless gown by When Freddy Met Lilly, with the train falling naturally to the lawn in a natural, casual elegance. 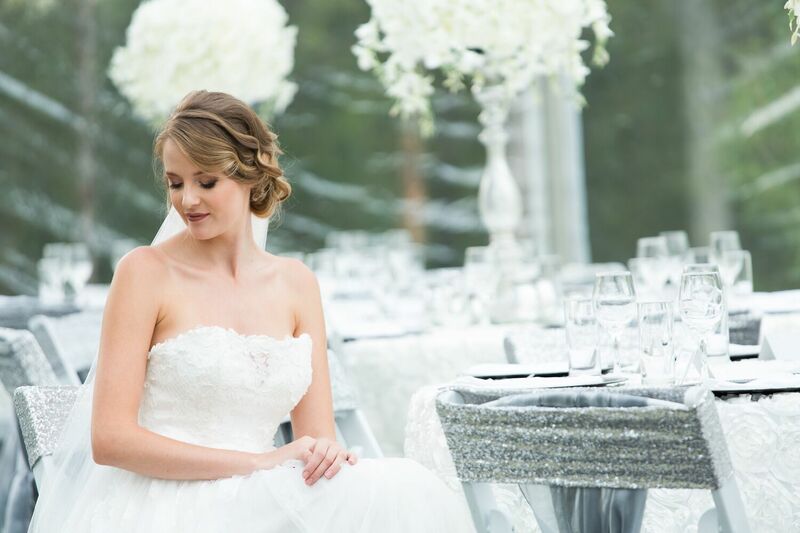 Waterfront views are just a small part of what awaits at your marquee wedding on our Lakeside Lawn. 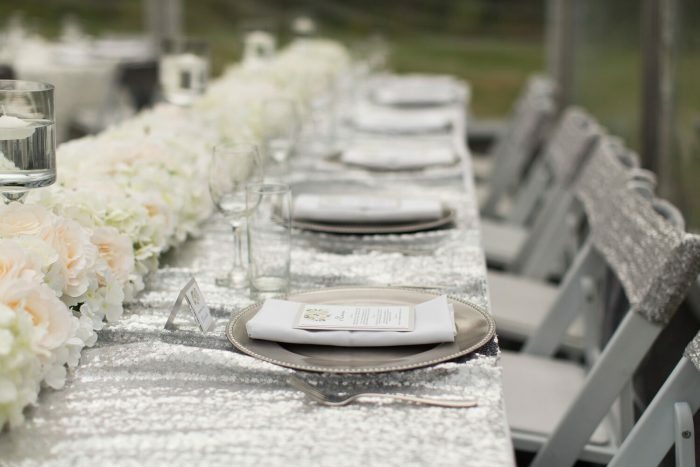 With clear views of the stars and lawns as guests enjoy their dinner, wedding styling comes naturally. 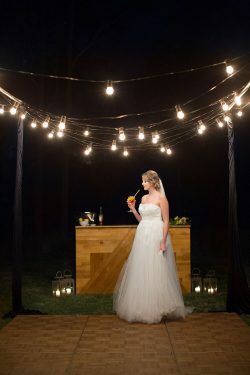 Event Rentals provided the grand marquee itself, in addition to the rustic tabletops crafted from barrels and pallets. 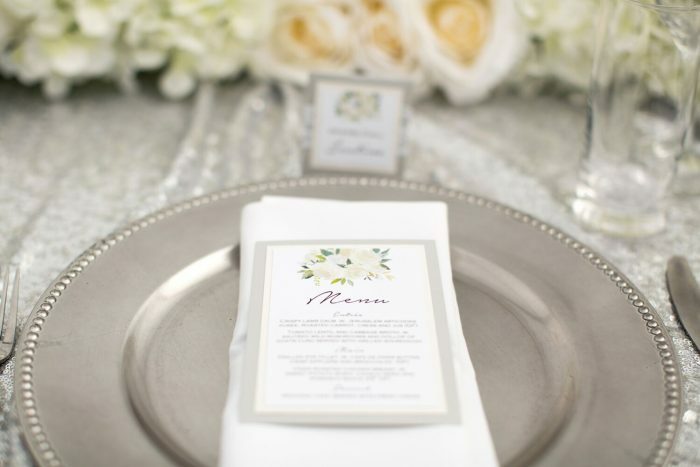 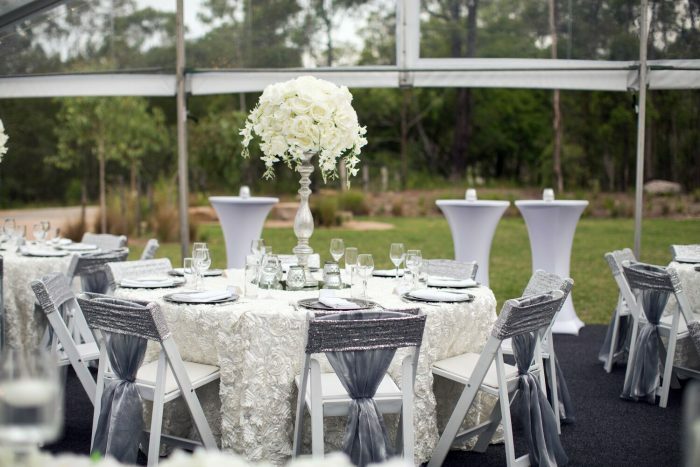 Inside, tables were dressed in white ornamental lace and gleaming silver platters by Beautiful Weddings. 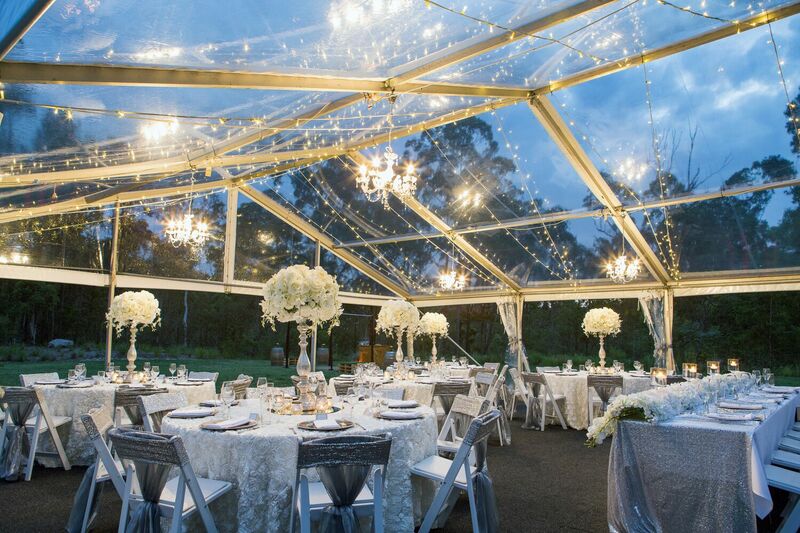 The open-air marquee allows you to take advantage of the sprawling lawns, leaving room for the inclusion of an outdoor bar or dance floor, such as those provided by Gathering Events. For a back-to-nature wedding with a relaxed style, consider a marquee setting at Walkabout Creek. 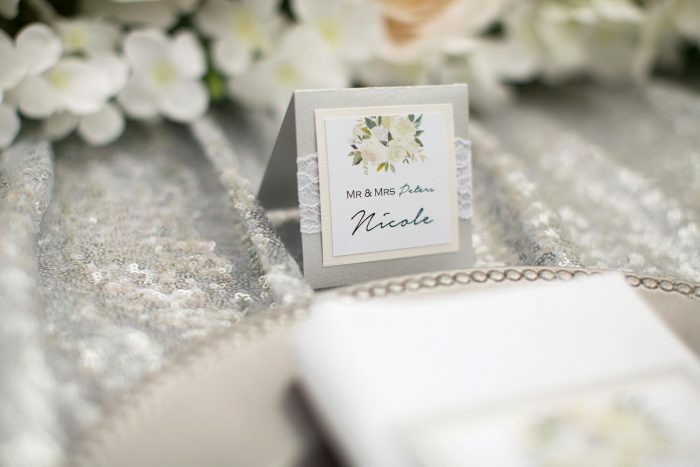 Get in touch with us today to discuss your plans.